Nested loops are usually used to print a pattern in C. They are also used to print out the matrix using a 2 dimensional array and a lot of other patterns like pyramid of numbers etc. Using a loop inside another loop is called nested loop. 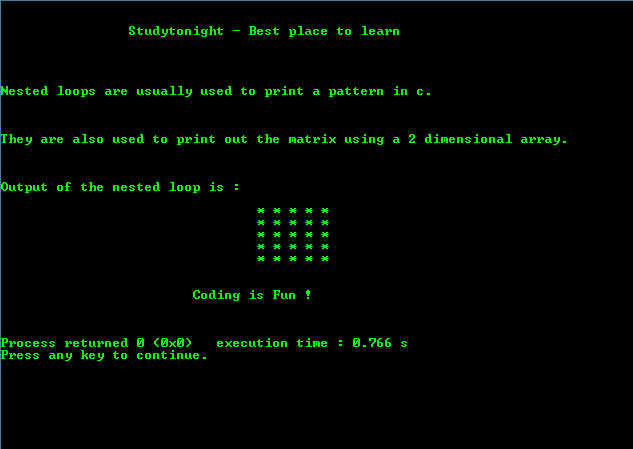 Below is a simple program on nested loops.